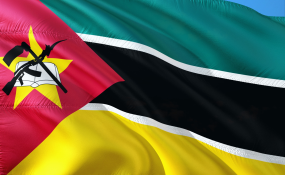 The African Development Bank and the governments of Mozambique and Portugal have signed a Mozambique-specific Memorandum of Understanding (MOU) for the implementation of the Lusophone Compact. The Lusophone Compact provides risk mitigation, investment products and technical assistance to accelerate private sector development in Lusophone African countries. Witnessed by over 200 Mozambican and international entrepreneurs, the signing took place in Maputo with the parties represented by Adriano Maleiane, Minister of Finance and Economy of Mozambique and Governor of the Bank Teresa Ribeiro, Secretary of State for Foreign Affairs of Portugal, and Mateus Magala, Bank Vice President for Human Resources and Corporate Affairs. According to Ribeiro, "the Portuguese Government allocated Euro 400m in guarantees and other risk-sharing mechanisms in the 2019 National Budget to support the implementation of the Compact." Projects eligible under the Compact must align with the Bank's High 5s, the relevant Country Strategy Papers and national development plans. They should also have the involvement of the host country and at least two other Compact signatories, and be in sectors which cover renewable energies, agribusiness and agricultural value chains, water and sanitation, infrastructures, tourism and ICT. Maleiane said: "I am proud that Mozambique is the first African Lusophone country to sign the implementation protocols of the Compact, allowing us to move forward with implementation. The government is committed to helping build an inclusive and sustainable private sector in Mozambique to create decent jobs and prosperity." The AfDB's High 5s include the Light up and power Africa initiative, Feed Africa, Industrialize Africa, Integrate Africa and finally Improve the quality of life for the people of Africa. Already, the Light up and power Africa initiative is powering some regions even as questions abound on whether Africa really needs coal power plants as a source of energy. AfDB has played a critical role in building Africa's clean energy capacities with the Bank's last investment in a coal project being 10 years ago. In line with its ambitious New Deal on Energy for Africa, 95 per cent of all Bank investments in power generation over the 2016-18 period has been in renewables. At the just concluded One Planet Summit taking place in Nairobi in March, AfDB President Akinwumi Adesina said the Bank has doubled its commitments pledging USD25 billion to climate finance in Africa. This commitment followed the World Bank's USD22.5 billion pledge to support the continent's climate adaptation and mitigation. The World Bank funds will cover a five year period starting 2021-2025. AfDB is doubling its climate finance commitments to at least USD25 billion for the period 2020-2025. The funding was announced by the Bank's President on Thursday at the One Planet Summit taking place in Nairobi. On March 14, AfDB priced a EUR 1 billion 10-year Global Benchmark, due 21 March 2029, its first benchmark transaction of the year. The transaction marks the Bank's s positioning in the EUR market, in line with its strategy of building a reference curve. This comes after its inaugural EUR benchmark issued in 2016 and the transaction underlines the issuer's access to EUR liquidity with no concession and the intrinsic demand for the name within the European investor base. AfDB is rated Aaa/AAA/AAA by Moody's/S&P/Fitch and the transaction was oversubscribed, with an order book in excess of EUR 1.7 billion, diversified across geographies and investor profiles, with nearly 50 investors participating. You can also read about Macron, a French Consortium and Kenya's 3B Euros and how Africa lags behind in global ICT goods trade as Swahili content explodes Kenya, TZ and UG mobile growth and how the Congo river could power Africa.